Jennie Harn was the daughter of Levi (Lewis) Harn and Emily Burgess. Emma Elizabeth Harn was born on 29 July 1895.1 She was the daughter of Robert Levi Harn and Lenora E. Watson. In 1900 Census, Emma listed as born July 1895. Census 1900 Cumberland Twsp., Greene Co., Pennsylvania, as 4 years old. [S1066] B. Esther (Oviedo) Harn, "E.B. Harn Sheets, FHL film 1036595, # 29", Feb 1977 (18921 Knapp St., Northridge, CA 91324). Hereinafter cited as "E.B. Harn Sheets, FHL film 1036595." [S1067] B. Esther (Oviedo) Harn, "E.B. Harn Sheets, FHL film 1036595, # 28", Feb 1977 (18921 Knapp St., Northridge, CA 91324). Hereinafter cited as "E.B. Harn Sheets, FHL film 1036595." Clohe Dell Harn Walters gravestone (1887-1914), online http://www.findagrave.com/cgi-bin/fg.cgi?page=gr&GSln=harn&GSiman=1&GSci, Entry added to findagrave.com in 2009 by KittyJ. She was the daughter John Larkin Harn and Margaret E Duvall Harn. She was the wife of Homer D Walters.. Hereinafter cited as Clohe Dell Harn Walters gravestone (1887-1914). The Social Security Death Index, World War I Draft Records, and World War II Registration Records show Arlet born in Jun 1889, not Jan 1889. Arlet Eustice Harn is listed in the World War I Draft Registration Cards, 1917-1918. The draft registration cards taken in Allegheny Co., Pennsylvania, list his birth as 17 Jun 1889 in Simpson, Kansas. His Social Security Number was 170-01-7975.3 Notes from Jeffrey Lipscomb, has name as Arlet Eustace Harn. [S1068] B. Esther (Oviedo) Harn, "E.B. Harn Sheets, FHL film 1036595, # 28, name as Arlet Austin", Feb 1977 (18921 Knapp St., Northridge, CA 91324). Hereinafter cited as "E.B. Harn Sheets, FHL film 1036595." Source Citation: Number: 170-01-7975;Issue State: Pennsylvania;Issue Date: Before 1951. He lived in 1931 at 1097 Laurel Ave., Akron, Summit Co., Ohio.4 His Social Security Number was 291-03-4552 issued in Ohio. Census April 1930 Akron, Summit Co., Ohio, lists Glenn as 38 and born in Pennsylvania, 20 when first married. [S1070] Glenn Duvall Harn, unknown file number, Social Security Death Index (b- 17Nov1891 d- 20Nov1988), unknown series (n.p. : n.pub.). Her married name was Jones. Born in East Millsboro, of Luzerne Twsp. The cause of death was meningitis. Notes from Jeffrey Lipscomb have born about 1896, died at 20 mo's. [S1071] Letter from Jeffrey Jon Lipscomb (unknown author address) to Mildred (Toland) Harn, Mar 1995; Steven Harn Redman (2633 N. 1600 E., Layton, Davis Co., UT). Census 8 June 1900 Luzerne Twsp., Fayette Co., Pennsylvania, In the 1900 Census, listed as born in 1858 in Pennsylvania and married 12 years to William. F, #2200, b. circa 1882? Emmor Hamilton Kelley was born circa 1882?1 She was the daughter of Levi H. Kelley and Rhoda B. Harn. Listed in Broderbund's World Family Tree, Pedigree #2837. [S1072] B. Esther (Oviedo) Harn, "E.B. Harn Sheets, FHL film 1036595, # 22", Feb 1977 (18921 Knapp St., Northridge, CA 91324). Hereinafter cited as "E.B. Harn Sheets, FHL film 1036595." F, #2201, b. circa 1896? Mary Elizabeth Kelley was born circa 1896?1 She was the daughter of Levi H. Kelley and Rhoda B. Harn. Rhoda and Levi in Broderbund's World Family Tree, Vol I.
Census 2 January 1920 Luzerne Twsp., Fayette Co., Pennsylvania, In the 1920 Census, Hester listed as 58 years old and born in Pennsylvania, enumerated with her husband John W., and daughter Bertha. Sarah Blanche Harn was born on 13 January 1887.2 She was the daughter of John Morgan Harn and Hester Hattie Porter. [S1073] B. Esther (Oviedo) Harn, "E.B. Harn Sheets, FHL film 1036595, # 25, has Sarah born abt 1888", Feb 1977 (18921 Knapp St., Northridge, CA 91324). Hereinafter cited as "E.B. Harn Sheets, FHL film 1036595." Mary Elizabeth Harn was born on 6 October 1899.2 She was the daughter of John Morgan Harn and Hester Hattie Porter. [S1074] B. Esther (Oviedo) Harn, "E.B. Harn Sheets, FHL film 1036595, # 25, Mary born abt 1890", Feb 1977 (18921 Knapp St., Northridge, CA 91324). Hereinafter cited as "E.B. Harn Sheets, FHL film 1036595." John William Harn was born on 5 August 1891.2 He was the son of John Morgan Harn and Hester Hattie Porter. [S1075] B. Esther (Oviedo) Harn, "E.B. Harn Sheets, FHL film 1036595, # 25, John born abt 1893", Feb 1977 (18921 Knapp St., Northridge, CA 91324). Hereinafter cited as "E.B. Harn Sheets, FHL film 1036595." Helen Lavinia Harn was born on 4 September 1895.2 She was the daughter of John Morgan Harn and Hester Hattie Porter. [S1076] B. Esther (Oviedo) Harn, "E.B. Harn Sheets, FHL film 1036595, # 25, John born abt 1897", Feb 1977 (18921 Knapp St., Northridge, CA 91324). Hereinafter cited as "E.B. Harn Sheets, FHL film 1036595." Bertha Margaret Harn was born circa 1900 at Pennsylvania.2 She was the daughter of John Morgan Harn and Hester Hattie Porter. Census 2 January 1920 Luzerne Twsp., Fayette Co., Pennsylvania, In the 1920 Census, Bertha listed as 20 years old and born in Pennsylvania, enumerated with her parents. [S1077] B. Esther (Oviedo) Harn, "E.B. Harn Sheets, FHL film 1036595, # 25, John born abt 1899", Feb 1977 (18921 Knapp St., Northridge, CA 91324). Hereinafter cited as "E.B. Harn Sheets, FHL film 1036595." Lloyd Harn was born in August 1891 at California; Information from 1900 California Census. He was the son of Lloyd Robert Harn and Agnes Jefferies. 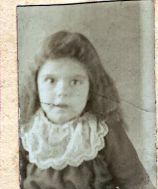 Agnes Julia Harn was born in January 1892 at California; Information from 1900 California Census. She was the daughter of Lloyd Robert Harn and Agnes Jefferies. F, #2211, b. 15 January 1878, d. circa 5 March 1937? Laura L Snyder married Emory Grant Harn, son of George Washington Harn and Catherine Molesworth. Laura L Snyder was born on 15 January 1878.1 She was the daughter of Daniel Snyder and Rachel R. (?) Laura L Snyder died circa 5 March 1937?1 She died on 5 September 1939 at 4805 Bell Ave., Baltimore, Baltimore Co., Maryland, at age 61; info from obituary. She was buried at Providence Cemetery, Kemptown, Frederick Co., Maryland. Her married name was Harn. Laura listed as 41 years old in the 1920 Census. Following obituary from "The Frederick Post" newspaper (Frederick, MD), Tuesday, March 7, 1939, page 5 column 1. Mrs. Laura L. Harn, aged 60 years, one month and 25 days, died on Sunday evening at 9:25 o'clock at the home of her daughter, Mrs. Ruth Kooken, 4805 Bell avenue. Baltimore. Death was sudden and was caused by cerebral hemorrhage. Mrs. Harn was formerly of Mt. Airy. She was a daughter of the late Daniel and Rachel R. Snyder and widow of the late Emory G. Harn. Surviving are two daughters, Mrs. Myrtle Thompson. Ridgeville; Mrs. Kooken, Baltimore; two brothers. William D. Snyder, Mt Airy; J. Reese Snyder, Deep Water, N. J. Funeral services will be held this afternoon meeting at the home of the daughter, Mrs. Thompson, at Ridgeville at 2:30 o'clock with further services from Calvary Methodist Episcopal church. Mt. Airy, at three o'clock. Interment in Providence cemetery at Kemptown. Rev. Philip C. Edwards will be in charge, assisted by Rev. C.L. Dawson. C.M. Waltz, funeral director. The cause of death was cerebral hemorrhage. Edwin May Funk married Traetta Estelle Harn, daughter of Dr. Allen Duval Harn and Josephine Camp. Amy Clew taken in Red Wing, Minnesota. ind A Grave Memorial# 112681745. As of 10 March 1913,her married name was Johnson. [S2043] Marriage Cert - Amy Clow, unknown repository, unknown repository address. Hereinafter cited as Marriage Cert - Amy Clow. Ancestry.com. Washington, Births, 1889-1929 database on-line. Provo, UT, USA: Ancestry.com Operations Inc, 2010. Original data: Washington Births, 1891-1929. Various county birth registers. Microfilm. Washington State Archives, Olympia, Washington. Ancestry.com. Washington Births, 1907-1919 database on-line. Provo, UT, USA: Ancestry.com Operations Inc, 2002. Francis Margaret Clew taken at Red Wing, Minnesota. Frances Margaret Clow was born on 16 November 1896 at North Dakota.1 She was the daughter of John Arthur Clow and Hattie B. Harn. Frances Margaret Clow married John Henry Headrick on 26 May 1914 at Kootenai Co., Idaho. Frances Margaret Clow died on 3 November 1972 at Los Angeles, Los Angeles Co., California, at age 75.2 She was buried at Inglewood Park Cemetery, Inglewood, Los Angeles Co., California; Plot: Inglewood Mausoleum. Source Citation: Place: Los Angeles; Date: 3 Nov 1972; Social Security: 548520143. 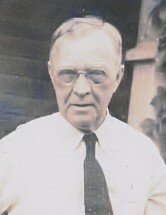 Evander John Clow was born in 1901 at North Dakota.1 He was the son of John Arthur Clow and Hattie B. Harn. Evander John Clow died on 10 December 1991 at Washington. Norman Harvey John Brooke was born in 1878 at Canada; Howard listed as "about 26 years" old on marriage license and born in Canada from 1910 Idaho Census.1 He was the son of Thomas James Brooke and Elizabeth Jenkins. Norman Harvey John Brooke was born on 7 April 1878 at Middlesex, Ontario, Canada.2 He married Emaline C. Harn, daughter of William Singleton Harn and Juliette Ann Reed, on 17 August 1904 at 360 San Rafael St., Portland, Multnomah Co., Oregon; married by a Minister of the Episcopal Church.1 Norman Harvey John Brooke died on 13 November 1957 at Kellogg, Shoshone Co., Idaho. He lived in August 1904 at Shoshone Co., Idaho.1 In May 1910 Norman Harvey John Brooke was a railroad agent. In Reid J. Booke's application for enlistment on Dec 1941, his parents were still alive. Chester Harrison Doinbush was born circa May 1889 at Dayton, Montgomery Co., Ohio.1 He was the son of Lincoln Doinbush and Sara Frances Harn. Charles William Doinbush was born on 11 December 1890 at Dayton, Montgomery Co., Ohio.1 He was the son of Lincoln Doinbush and Sara Frances Harn. 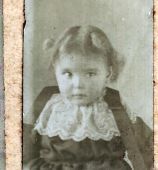 Olga Beatrice Doinbush was born on 3 March 1892 at Dayton, Montgomery Co., Ohio.1 She was the daughter of Lincoln Doinbush and Sara Frances Harn. Henry R. Fitch married Mary A. (?) Henry R. Fitch was born circa 1805 at New Jersey; info from 1880 Ohio Census.